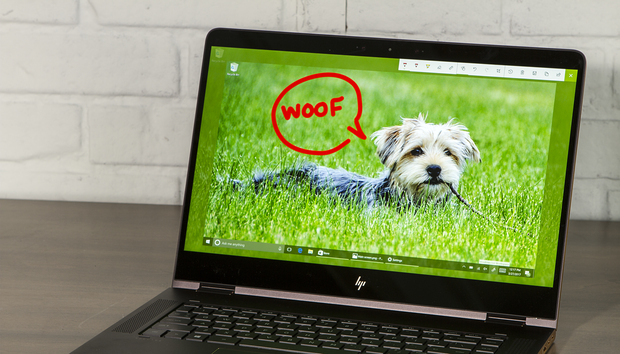 Though many readers wrote off the bare-bones Edge that debuted along with Windows 10, it improved with the Anniversary Update, and the trend continues with the Creators Update. Here are the four key additions: the ability to import favorites from other browsers, new tools to organize tabs, Edge’s debut as an e-reader, and Edge’s upgraded ability to play Netflix at 4K resolutions. The under-the-hood tools within Netflix allowed us to prove that yes, Edge is the only PC browser to play Netflix streams at 4K. Reading books via Edge is functional (check out our hands-on experience), lacking some conveniences but offering a reasonable alternative to an app or an e-reader. As for Microsoft’s 4K Netflix claims—yes, we've proven they’re true, and no other PC browser can say the same. Edge’s Book e-reader gets the job done. A new feature in Edge, the ability to set aside a tab or groups of tabs, is useful but needs refinement. Let’s say that you began researching a trip to Hawaii, opened a few tabs on what to see or do in the islands, then called it a night. Normally, you might bookmark the tabs for a later date. Edge allows you to take that group of tabs and “tombstone” them on the left rail. Each time you set the tabs aside, a new group is formed—which you can’t label or add to, unfortunately. Each group of tabs can be reloaded whenever you want, even after a reboot. A somewhat related feature lets you preview tabs as thumbnails. Tabs can be set aside and restored using the icons in the upper right-hand corner of Edge. You can supposedly import favorites/bookmarks as well as passwords from the two most popular browsers, Internet Explorer and Google Chrome. At least with Chrome, bookmarks imported just fine, though I had to reorganize them a bit. Not a single password that I tested carried over, however. Edge still consumes more of your computer’s resources than other browsers when using a large number of tabs. I’ve been saying for a while now that Edge has risen to the level of a “good” browser. Notably, it now boasts a total of 25 Edge extensions in the Store, including new additions like Microsoft Personal Shopping Assistant and Tampermonkey. But it remains an odd duck. It performs just as well as Chrome or Opera when loading a new webpage, and it’s nearly at the top of the class when browsing with just a few tabs. But under load, running 20 tabs, it slows down and bloats considerably. Edge’s performance is all over the place in our list of benchmarks, which measure browser performance across a variety of Web-based tasks. Cortana’s interactions have expanded from voice controls to the lock screen. Now, the Cortana full-screen experience launches any time she’s idle. Because Cortana normally hides in a narrow window in the corner of your screen, the full-screen experience is actually superior when displaying weather forecasts and maps. Cortana’s full-screen mode does justice to graphics she can’t really display in a corner of your screen. This time around, Cortana’s new features focus on music. If you ask her to play, say, “Paint It Black” by The Rolling Stones, she’ll launch Groove Music (if you have a subscription). Previously, she’d import a YouTube video. She’ll also launch music from TuneIn and iHeartRadio, if those apps are installed. Here, though, you’re subject to the whims of the apps; saying “play blues on iHeartRadio” prompted the app to play The Imaginary 8 The Girl’s One Woman Blues Band, which ain’t blues at all. You can also ask Cortana to identify what’s playing—quite handy if you’re listening to TuneIn, which simply streams local radio without any metadata. If you have “Hey Cortana” enabled, you can play DJ across the room in the Creators Update. Cortana will also help you keep your commitments. If you’ve allowed her to read your Office 365 documents, don’t be surprised to see her reminding you to live up to promises you’ve previously made. Incidentally, Microsoft and Dolby have promised a Dolby Atmos app (with in-app purchases) that Dolby confirmed isn't live yet. A second option, Windows Sonic for Headphones, offers a virtual 7.1 surround experience that’s a marked improvement over the vanilla audio that Windows offers—assuming you don’t have a PC with audio improvements already included, of course. Cortana can help you to keep your promises. Windows 10 CU includes a night-light feature that begins red-shifting your display’s color as the sun goes down, gently reminding your body that it’s time to go to sleep. It helped eliminate my wind-down period before I hit the hay. The “night light” mode shifts your screen’s output towards orange or red so your body’s circadian rhythms aren’t interrupted by the blue light your monitor normally puts out. Ads for features like OneDrive and Tips in Windows Explorer will drive some people absolutely crazy. Remember, though, that there are millions of users for whom the new features will require some hand-holding. If you love macros and shortcuts, you’re in luck: New touchpad settings allow you to craft your own gestures. If you have a precision touchpad (the Home > Devices >Touchpad Setting will tell you) you’ll be able to configure your own touch gestures. PowerShell, a powerful yet slightly intimidating command interface, is now built into File Explorer. Movies & TV now has a mini-player that hovers over other applications. For those who need it, Windows’ Narrator assistive technologies have significantly improved, with Braille support, a better Scan Mode, and assistance in resetting a PC. Keep exploring and you could find even more obscure but useful features, as we did, some of which just might become your favorites. I can’t say for certain how stable the Creators Update will be, though I noticed far fewer bugs than in preceding iterations. Microsoft Word had an issue with opening a file stored on OneDrive, and the helpful Tips app still referred to Anniversary Update content in my Creators Update build. What angers me, though, is how far removed the Creators Update is from the vision Microsoft presented in the fall, especially when it comes to 3D content. “If we truly want to make 3D for everyone, then we need to make 3D creation as simple as taking a photo or a video on your phone,” Microsoft’s Megan Saunders promised us then. It’s not. It’s not even close to that. There are so many features that Microsoft pledged and has yet to deliver on: apps to capture objects as 3D images, the My People experience, 3D objects in Office apps, mixed-reality devices from its partners. Windows Holographic, renamed Windows Mixed Reality, is present, Microsoft says, though available only to developers. I’ve chosen to focus on what’s actually shipping within the Creators Update, and the vast, diverse number of new features justifies our rating. We're eager to try the Creators Update on the hardware seemingly handcrafted for it, like the Surface Studio, and mixed reality devices. If Microsoft had nailed 3D content in the Creators Update, our rating would have been higher. I can’t help but think that Microsoft should have announced two Creators Updates: one now, and one scheduled for the fall. Is the Creators Update worth your time? Yes, absolutely. Microsoft’s creative vision enumerated inside the Creators Update remains potent and viable—though also unfulfilled.